The Internal Revenue Service released its Revenue Procedure 2017-36, which sets the affordability percentage at 9.56 percent for 2018. Under the Patient Protection and Affordable Care Act (ACA), an applicable large employer may be liable for a penalty if a full-time employee's share of premium for the lowest cost self-only option offered by the employer is not affordable (for 2018, if it's more than 9.56 percent of the employee's household income) and the employee gets a premium tax credit for Marketplace coverage. Because the 2018 affordability rate is lower than the 2017 affordability rate, applicable large employers may need to reduce their employees' share of premium contributions to maintain affordable coverage. Employers should double check their anticipated 2018 premiums now to prevent the need for mid-year changes. The IRS issued Information Letters 2017-0010, 2017-0011, 2017-0013, and 2017-0017 on the ACA's employer shared responsibility provisions and individual mandate. IRS Information Letters 2017-0010 and 2017-0013 explain that the ACA's employer shared responsibility provisions continue to apply. The letters state, "The [President's January 20, 2017] Executive Order does not change the law; the legislative provisions of the ACA are still in force until changed by the Congress, and taxpayers remain required to follow the law and pay what they may owe." Further, the letters indicate that there are no waivers from potential penalties for failing to offer health coverage to full-time employees and their dependents. IRS Information Letters 2017-0011 and 2017-0017 address the continued application of the ACA's individual shared responsibility provisions. Letter 2017-0017 states, "The Executive Order does not change the law; the legislative provisions of the ACA are still in force until changed by the Congress, and taxpayers remain required to follow the law, including the requirement to have minimum essential coverage for each month, qualify for a coverage exemption for the month, or make a shared responsibility payment." The IRS issued draft Forms 1094-B, 1095-B, 1094-C, and 1095-C for the 2017 tax year. Coverage providers use Forms 1094-B and 1095-B to report health plan enrollment. Applicable large employers use Forms 1094-C and 1095-C to report information related to their employer shared responsibility provisions under the ACA. There are no changes to the face of draft Forms 1094-B, 1095-B, or 1095-C. The IRS made one substantive change to draft Form 1094-C. 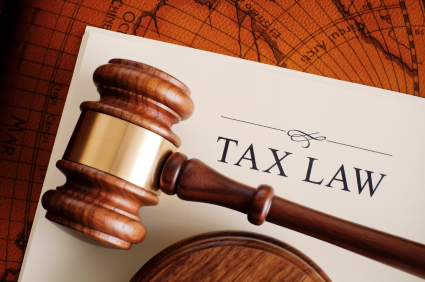 The IRS removed the line 22 box "Section 4980H Transition Relief" which was applicable to the 2015 plan year only.